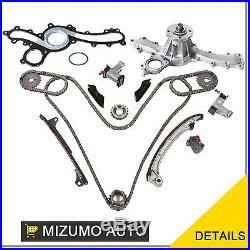 Toyota 4.0L 3956CC DOHC 24-Valves "1GRFE" Brand New Timing Chain Kit Meet or Exceed OEM Manufacturers Specifications. 1 Timing Chain lower (primary, 178 links). 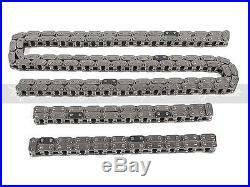 2 Timing Chain upper (cam to cam). 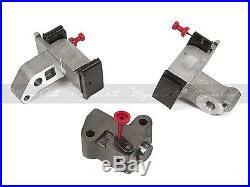 1 Tensioner right (upper, secondary). 1 Tensioner left (upper, secondary). 2 Guide Rail (upper left & right). 1 Guide Rail left (fixed rail). 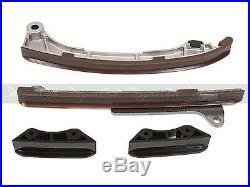 1 Guide Rail right (tensioner rail). 2 Cam Sprocket (secondary - exhaust). 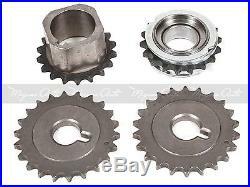 1 Idler Sprocket (18 teeth). 1 Crank Sprocket (18 teeth). 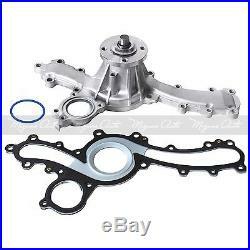 Cam Sprockets (intake) - are not included. Note: Please refer to the listing pictures for an accurate description of the parts included in the kit. 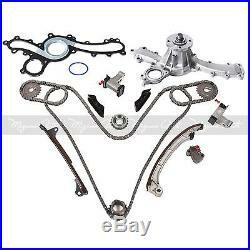 The item "Toyota 4Runner FJ Cruiser Tacoma Tundra 4.0L 1GRFE Timing Chain Kit Water Pump" is in sale since Wednesday, November 12, 2014.